The sun shining through the wing feathers was, to me, a gorgeous sight. On my night table, please ! Love the light coming through the feathers. beautiful white feathers, can almost feel it, excellent! 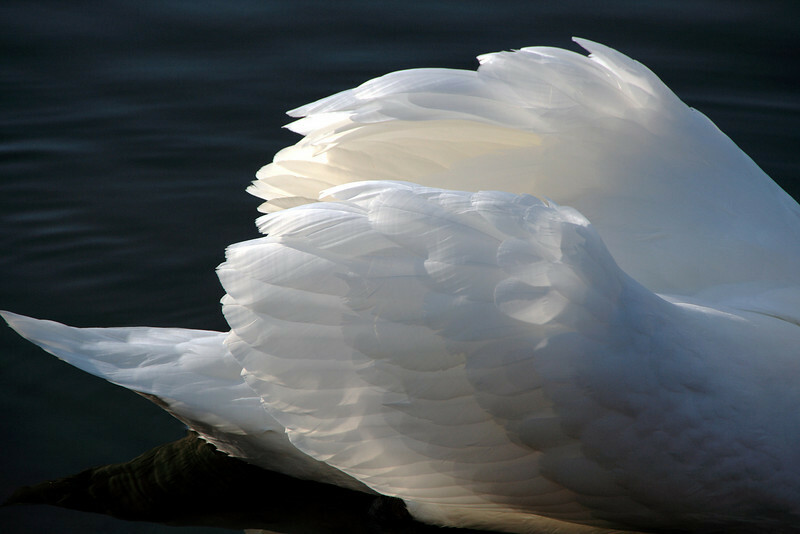 You did a wonderful job of capturing the lighting and details in this Swan's feathers.